No children were harmed in the making of this wrap. Here’s a recipe if you’re looking for something to have for lunch that’s a bit different. It’s also vegetarian, which may classify it as different to a lot of people on that fact alone! So picture this: pan fried strips of sesame-scented tofu topped with a spicy peanut/ginger sauce. 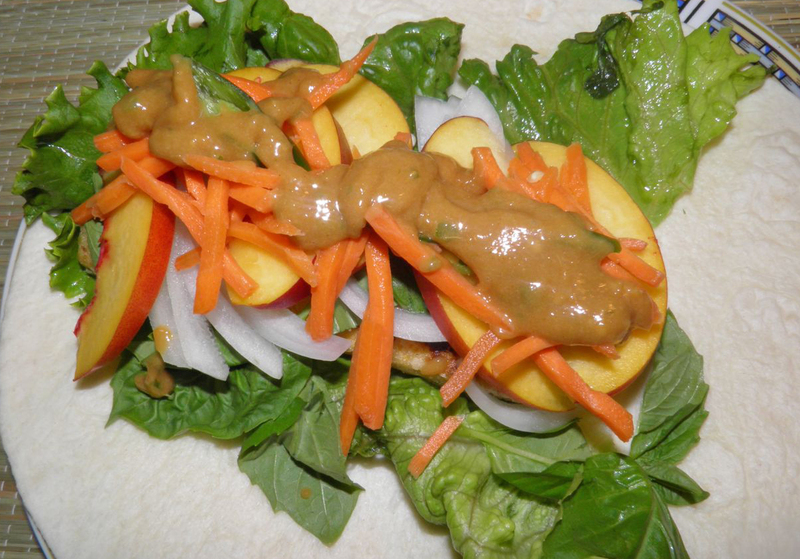 This is wrapped together with lots of fresh basil, sweet onion, carrot and nectarine slices. Yes indeed – nectarines. The basil and peanut sauce pairs magnificently with the nectarines a well as the tofu. Sheer bliss. Fresh tasting, sweet and pretty much guilt-free. Plus, no faces at all involved in any of the ingredients (or egg or milk products) so you can serve this with certainty to not only your vegan friends. Min you the wraps have gluten so they would have to be substituted for celiacs. And if people have issues with how the peanuts or peppers were farmed… We all know someone like that. This is everything except for the tofu. Slice a 1 lb (454g) block of extra firm into four thin “steaks”. Mix the cornstarch, sesame seeds salt and pepper together in a bag. You can either use the sesame seeds whole, or pulse them in a spice grinder and then add them to the cornstarch. Add the tofu slabs and toss well to coat. Shake off any excess. 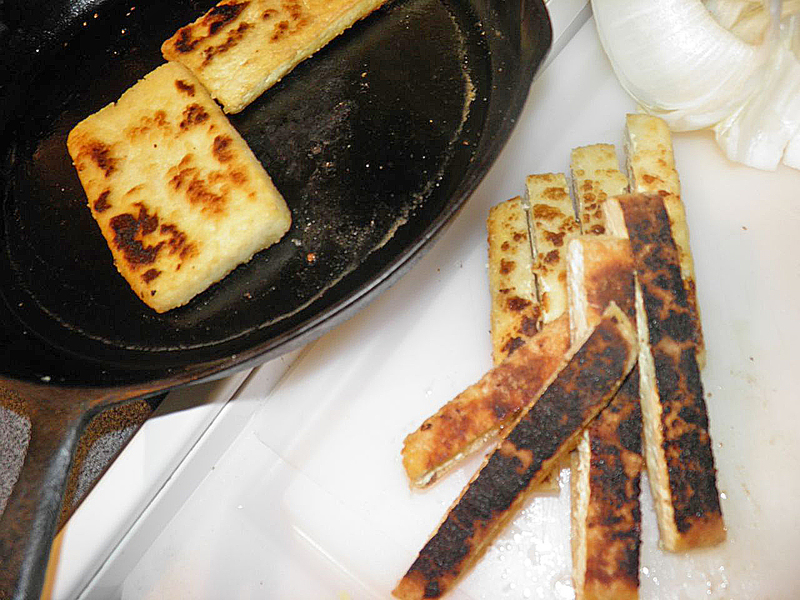 Add sesame oil to a hit skillet and fry the “steaks” until browned and crisp on both sides. Be careful, as sesame oil has a fairy low smoking point, but we want its sesame flavour. Remove to a board and cut into long strips. Chop the ginger and hot pepper. Use as much as you wish. I find the hotter the better. 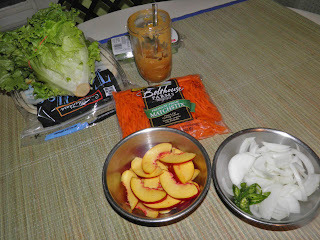 Add these two ingredients with the remaining sauce ingredients into a small blender. I have a “Magic Bullet” that works great for tasks like this. Purée until smooth and combined. Adjust any of the ingredients to get the consistency you desire. Set aside. 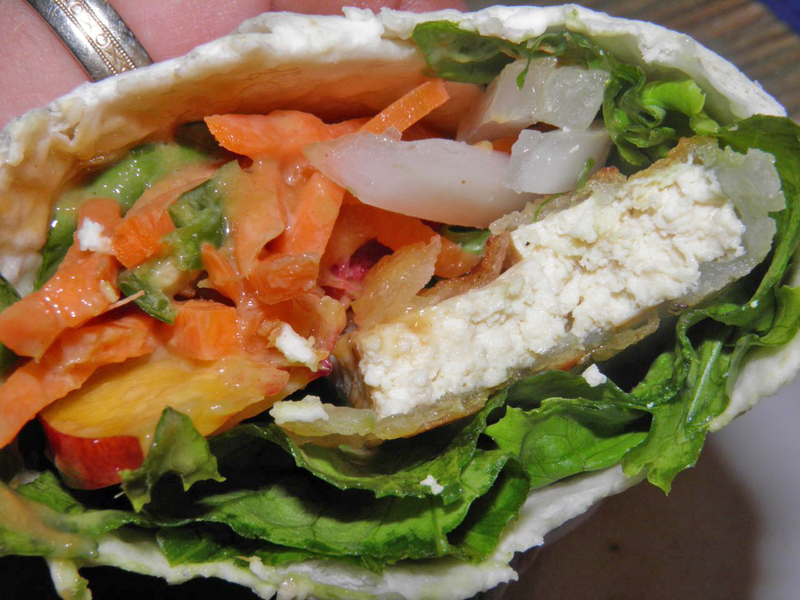 Place some lettuce on a tortilla wrap and add 2-3 tofu pieces. 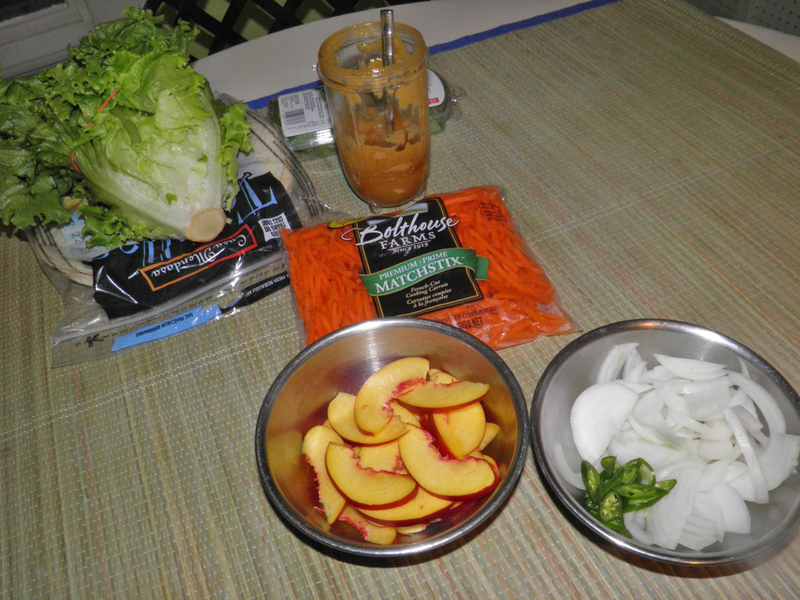 Layer on the remaining ingredients, top with the sauce, roll up and serve. They're as easy as that!